Interested in making a one-time contribution? Please click on the yellow "Donate" button below. After entering your information and donation total, you will have an opportunity to designate how your contribution will be used, for example: "Outreach" or "Mission." To do this, simply click on the blue plus sign (+) marked "Allocate my donation to:",as seen below. A box will open, allowing you to enter your text. 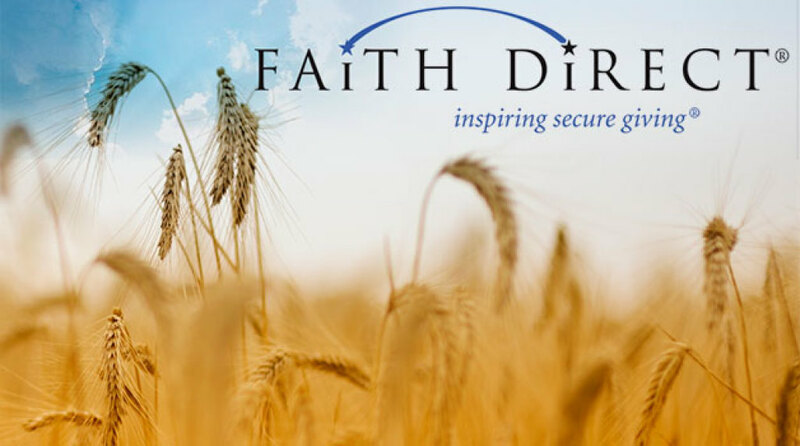 Signing up for Faith Direct is an easy way to thank God each week for all of our blessings! Many parishioners have embraced online giving and it has been a blessing to our parish! Vacations, weather conditions, sickness, etc. can take a toll on finances as attendance varies, but online giving can help eliminate this fluctuation. If you have questions, contact Katie Pechin at the parish office. You may also text “ENROLL” to 765-433-2010 and follow the link to sign up for recurring giving. Thank you for your continued support to your parish family!